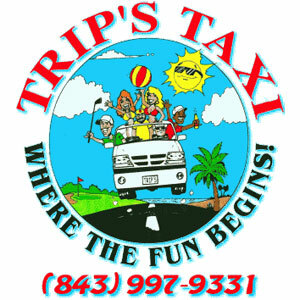 When you Need a Ride… Call Trip’s! Our Owners and Drivers are local to the North Myrtle Beach Area. We live, play and DRIVE in North Myrtle Beach, Little River, Myrtle Beach and all the areas nearby. We do our best to follow up with our facebook friends and we may even thumbs up some of your instagram pictures. We like, comment, share and will do the private message thing on several of these social media sites when we are not on call. We appreciate all the technological advances, but we a taxi ride service. We prefer the telephone. Please if you need a ride, the best way to contact us is to call us 843-997-9331. We are on call when you need us to pick you up and take you where you need to go. If you want to schedule a pickup, we can do that on the phone. Thanks to all of you that rely on Trip’s to get you where you want to go! Let the Fun Begin and Call Trips when you need a ride at the beach! Our NMB Business Location. We are proud to member of the North Myrtle Beach Chamber of Commerce.